Dinosaur Comics - August 13th, 2014 - awesome fun times! –Proof in the form of lyrics from POPULAR MUSIC, baby! 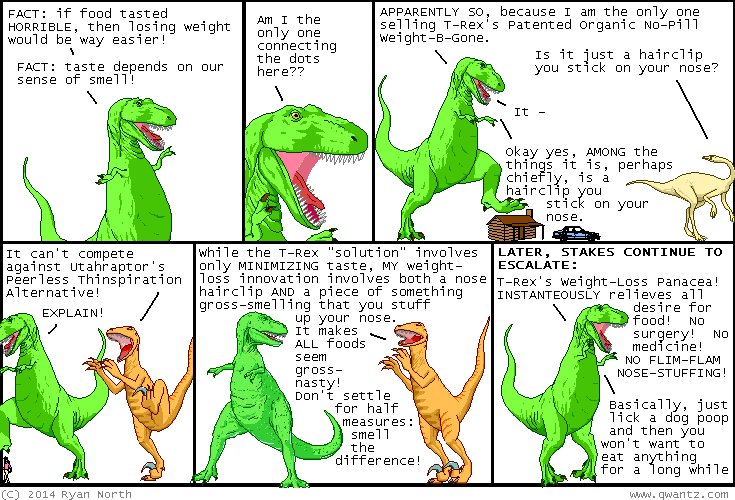 August 13th, 2014: Dinosaur Comics has over a decade of comics for you to read! That's a lot of comics, and who wants to go back and read them all in one sitting? YOU? >Perhaps! And that option is available to you. But now there is another option: get a curated selection of Classic Favourites delivered to you every day!